International students from outside the European Economic Area (EEA) can provide a significant source of income for UK schools, colleges and universities, as well as increasing the diversity of your student community. To attract and enrol the brightest and best students from around the world, you will need a UK Home Office approved Tier 4 Sponsor Licence (under Tier 4 of the Points Based System). This enables you to issue the essential Confirmation of Acceptance for Studies (CAS) that prospective students and pupils need to successfully apply for a Tier 4 student visa to study in the UK. Our expert Education Immigration team specialises in helping education institutions prepare for, apply for and maintain their Tier 4 Sponsor Licence, either under the Tier 4 (General) category (to sponsor students 16+) or the Tier 4 (Child) category (to sponsor pupils aged 4-17 studying at independent schools in the UK). 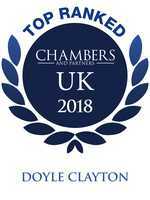 Excellent help and assistance - we are Regulated by the Solicitors Regulation Authority (SRA), and our team of experienced solicitors has real in-house knowledge gained whilst working for Tier 4 sponsors managing Tier 4 licences and Home Office compliance. Unlike other law firms or non-legal Tier 4 service providers that “advise” and “assist”, we work far more closely with clients using our first-hand knowledge of their systems to reduce the stress, uncertainty and time needed to obtain and keep their Tier 4 Sponsor licences. It’s the reason why many of our clients think of us and use us as a seamless part of their in-house team, saving both money and time. For many education institutions unfamiliar with the highly complex and procedural nature of UK immigration law, applying for a Tier 4 Sponsor Licence can present a major challenge. Few have experienced staff that have successfully managed the sponsor licence application process or who can easily navigate the strict eligibility criteria that need to be met as part of applying for a licence. The result is that for most schools, colleges and universities getting a licence takes much longer than it needs to and sponsor licence applications are often delayed or refused due to insufficient, incomplete or inaccurate documentation. Education quality standards, student record keeping (including right to study checks), attendance monitoring and reporting processes. Identifying the number of CAS to ask for - based on the number of non EEA national students you anticipate sponsoring under your Tier 4 licence. Having the correct Sponsor Management Roles in place and staff trained. Reviewing and certifying the required supporting documents. We can also help you complete the online application, or do it entirely on your behalf. In addition to this we also regularly produce cover letters for clients. These are particularly useful and include details of all required documents and evidence - helping the Home Office to evaluate and approve your application sooner. When the UK Home Office grants your institution a Tier 4 Sponsor Licence, you are also set up on their Sponsorship Management System (SMS). This is an online tool which enables you carry out day to day sponsorship activities and report any changes. You will also use it to assign Confirmation of Acceptance for Studies (CAS) to students who wish to come to the UK to study, as well as to fulfil your reporting duties for your sponsored students. Authorising Officer – a senior and competent person who is responsible for the actions of staff and representatives who use the sponsor management system (SMS). Key Contact – your main point of contact with UKVI about your institution’s application. Level 1 User – responsible for all day-to-day management of your licence using the SMS. Level 2 User – an SMS user with more restricted permissions than a level 1 user. These roles can all be filled by the same person or by a combination of people. We always recommend training to ensure that they are confident and comfortable in their new Tier 4 sponsor licence roles and are sufficiently skilled and knowledgeable to protect your Tier 4 Licence. Both formal and on-the-job training is available from members of our team who have years of experience of managing sponsor licences as Level 1 Users. Top-up training can also be provided - so that when changes in Tier 4 requirements take place you are able to meet these quickly and avoid any costly compliance breaches. To ensure that your Tier 4 reporting continues you should look to have a number of suitably trained staff so that absences can be covered and you are not left exposed if key individuals leave. So that you are fully prepared and that your Tier 4 Sponsor Licence application goes smoothly we recommend that you have a Tier 4 pre-Sponsor Licence Readiness Audit. This provides a detailed review of all of the systems, processes and standards needed to operate according to Home Office requirements (including education quality standards, student record keeping [including right to study checks], attendance monitoring and reporting). It also includes an assessment of the staff who will be managing processes after your Tier 4 Licence has been approved and ensuring that they are sufficient and suitably experienced and knowledgeable. Following the audit, the action plan we'll give you will explain the areas needed to be strengthened, and we can work with you to achieve this if needed. If our help isn't required, we'll agree an audit follow-up date to review the changes that have been made so that you are ready to pass the Tier 4 Sponsor Licence application process. If your school, college or university currently holds a Tier 4 Sponsor licence, you have a duty to meet certain core requirements on an annual basis to retain your UK Home Office Sponsor licence. This includes ensuring your visa refusal rate of all sponsored Tier 4 students stays below 10%. Our specialist Education Immigration team, which includes lawyers with in house Tier 4 sponsorship and Home Office audit experience, can provide expert guidance on basic compliance assessment. This includes helping institutions to continually adapt and update internal recruitment and student sponsorship processes to pass the annual Basic Compliance Assessment and keep their Tier 4 sponsor licence. We also regularly work with and help independent schools and low CAS users who are subject to a discretionary assessment. 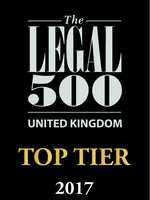 To retain your Tier 4 Licence, all Tier 4 Sponsors must continue to comply with Home Office requirements. UK Home Office Compliance Officers may visit your education institution often with little or no notice to check whether you are complying with your Tier 4 sponsor duties. If any breaches are identified regarding international student record keeping or UK Home Office reporting your ability to recruit and retain your students from outside the EEA will be affected. To help education clients a mock Home Office compliance visit is available from members of our team who have worked in-house successfully managing Tier 4 compliance and reporting and importantly first hand experience of passing Home Office inspections. This will identify any weaknesses in your current Tier 4 processes (including record keeping, attendance monitoring and reporting) as well as in your current student recruitment and enrolment systems that could put your institution at risk of Home Office Compliance Action or even losing its licence. A Home Office Tier 4 Audit Supervision service is also available where a member of our team remains on-site throughout the Home Office Compliance Visit and ensures that it runs smoothly, with any issues or queries identified and dealt with during the visit and before compliance action is initiated. With short notice and unannounced Home Office visits increasing it is little wonder that the number of compliance action plans as well as zero CAS allocations, downgraded licences and also Tier 4 Licence revocations are at record levels. Reputational damage and the disruption to your enrolled students aside the direct financial consequence of a Home Office Tier 4 compliance visit can be a substantial loss of income. Following a decision by the Home Office to take compliance action you will have up to 20 working days - longer in exceptional circumstances to respond. If the decision is to revoke your licence, and you do not demonstrate that a serious breach hasn't occurred, it is highly unlikely that you will keep your Tier 4 Licence. For institutions owned by a parent organisation this can be a particularly difficult situation as they will also be banned from the Tier 4 Register of Sponsors. For clients receiving a Tier 4 Licence compliance notice, corrective action recommendations, or licence suspensions or revocation we can help you make the changes required quickly and cost effectively. Where needed we can also defend allegations with the aim of persuading the UK Home Office to reinstate your sponsor licence. To maximise your institution’s Tier 4 visa success rate, we can provide practical help and tailored visa support to your current and prospective Tier 4 sponsored pupils/students. This may include checking sponsored non EEA pupils have the correct supporting documents when they make their Tier 4 visa applications, either from overseas or when applying from within the UK. We can also help parents apply for Parent of Tier 4 Child visas where their young children are studying at an independent school in the UK. For institutions that need support and do not want to recruit additional staff to run and administer their Tier 4 Sponsorship, we can provide a fully outsourced Tier 4 sponsorship service. This includes members of our Education Immigration Team acting as Level 1 Users on your sponsor licence, effectively carrying out your Home Office reporting duties and assigning CAS to prospective students. If you’d like to find out more about our Education Tier 4 Sponsor services please contact our Head of Education, Simon Henthorn - Partner on +44 (0)20 7329 9090 or shenthorn@doyleclayton.co.uk.